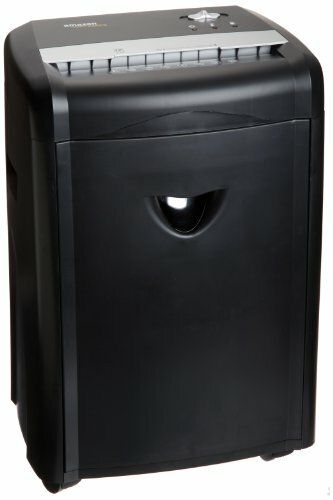 Regardless if it’s to protect your privacy and identity at your home, or if you are protecting your business and customer information, everyone needs a good paper shredder. Shredders are essential security and privacy tools, but like many tools, they are too often purchased without any research or examination before hand - without first reading any paper shredder reviews. This article will provide you the information you need to make an informed decision before purchasing a paper shredder, and help you consider the options available to you. Although we’ll give you information that you can use to decide between a wide variety of shredders, We will specifically look at three popular options available on Amazon. Probably one of the most obvious metrics you want to examine when shopping for the best paper shredder is how much it can handle at once. Besides the obvious reason that no one wants to stand over a shredder all day, shredders can also be disruptively loud if you’re anywhere near a telephone or TV. For these reasons, you want to choose a shredder that can take care of business quickly. 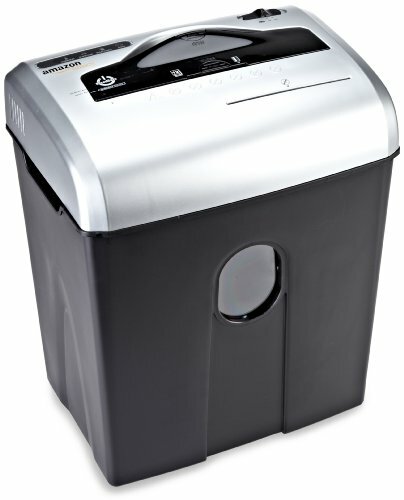 * First, we’ll start with AmazonBasics brand 12-sheet cross-cut shredder. It processes pages up to 12-pages at a time. 12 pages per pass is above the norm for consumer-grade scanners, so if you’re shredding basic documents, that’s probably sufficient. However, keep in mind, that number will go down with thicker paper (like envelopes), and if you’re looking for throwing entire credit card offers into the shredder, unopened - this might be a stretch. * Number two on our list of devices is also under the AmazonBasics brand - the AmazonBasics 12-sheet high security micro-cut shredder . This is also a 12-sheet device, and so here, we see very little difference. 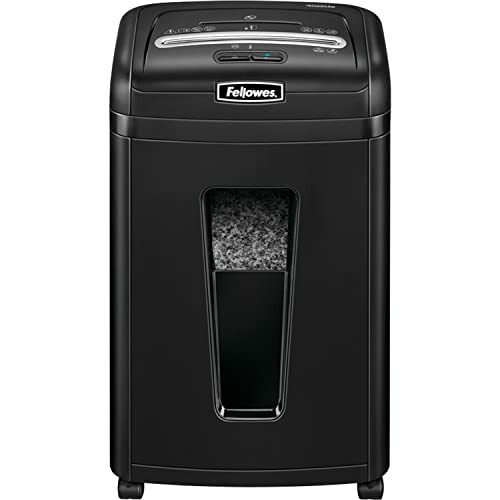 * Our third device is the Fellowes 79Ci, heavy duty cross-cut shredder. Unlike the AmazonBasic options, this device shreds 16 sheets per pass, with a more powerful motor. 16 sheets is a significant improvement over 12, and twice as much than the normal 6-8 pages found in non-industrial shredders. A 16-sheet shredder is also likely to be able to take care of those credit card offers in one go, without having to open them. Perhaps the second most obvious option to consider when searching for a good paper shredder is how versatile is it? What other forms of media can it shred? * For our first device, the AmazonBasics Best Seller cross-cut model, the answer is: paper - and perhaps CDs and Credit Cards. Although this entry level scanner advertises its ability to shred CDs and Credit Cards, the reality is you don’t want to be doing that a lot with this type model. You will be inserting the CDs and cards one at a time, and you’ll potentially trigger the cool-down period more quickly than with paper. If you’re going to be shredding a lot of credit cards, CDs, DVDs, or Blu-ray discs, we’d pass on this model. * The second device - the AmazonBasics High Security Micro-shredder, will see a model improvement over the basic model, also shredding credit cards, CDs, DVDs, and Blu-ray discs. In this case, the shredding is more complete with the cross-cut pattern, which makes it more difficult to reassemble the plastic pieces. After all, if you can easily reassemble the pieces of a credit card, has it really been shredded? * Third, the Fellowes 79Ci really wins here, shredding not just credit cards, CDs, DVDs, or Blu-ray discs, but also documents that are stapled and that have paper clips. While other shredders _may_ be able to shred a paper clip or staple here and there, the Fellowes 79Ci is confident enough to declare it proudly. Given that much of the common paperwork to be shredded is stapled or paper clipped, this is signifiant advantage over the other two models, and is generally something that saves a lot of time and hassle when considering which shredder to choose. Out of the big three things to consider when buying a shredder - after how many sheets it can handle at one time and what all it can shred - the third most important thing to consider is the cut-style of the shredder. Put another way, how securely does it shred. Among consumer grade paper shredders, there are three basic types of cutting styles: strip-cut, cross-cut, and micro-cut. Strip-cut shredders are most common, but not very secure. Strip cut shredders are found in the bottom tier of shredders, and they simply cut paper into long strands. This provides only the most basic form of security, if any, as the strands can be reassembled with determination and patience. This is, of course, better than not shreddit at all, but it should only be viewed as a deterrent to thieves and criminals, rather than a security measure that truly protects. Cross-cut shredders add an enormous amount of security over strip-cut shredders, and they do so by adding a horizontal cut across the long strands that chops the pieces of paper into tiny rectangles, rather than long individual strands. Micro-cut shredders offer the best in consumer level protection against identity thieves and other criminals by taking cross-cut to a much greater level, not just cutting the pieces of paper into small rectangles, but instead, turning them into tiny pieces of confetti. Among our three devices we’re reviewing, it’s not really a surprise that there’s a clear winner here, and it’s the one that includes the words “high security” in the title. 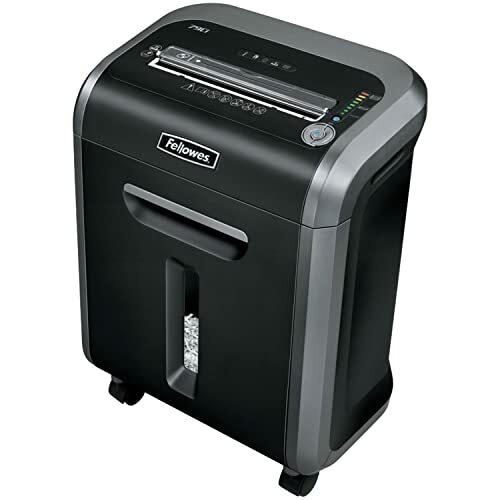 While both the AmazonBasics 12-sheet cross cut and the Fellowes 79Ci offer the cross-cutting style shredding, neither are able to touch the security provided by the AmazonBasics High Security micro-cut shredder. The AmazonBasics High Security micro-cut model turns papers into tiny pieces that are 0.15” x 0.4” small. Next best is the Fellowes 79Ci, turning papers into 0.15”x 1.5” rectanges; followed by the AmazonBasics cross-cut model, which cuts them down to 0.21” x 1.8”. Another factor to consider purchasing a shredder is how long can it run for continuously. If you have a large pile of papers that you need to shred, this might even be your number one or number two consideration. But for ordinary, routine, use, it’s probably not everyday that you have to shred pile on pile, so for most this isn’t a deal-breaker. All shredders will have both a standard maximum run time, and a mandatory cool down period that kicks in once the run-time (and the heat generated from it) have reached their maximum. 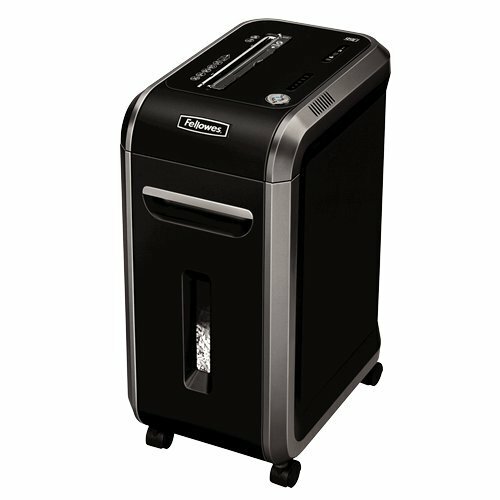 It shouldn’t come as a surprise that the AmazonBasics cross-cut model, as an entry-level shredder, has a rather disappointing run time of only 5 minutes before requiring a cool down period of 30 minutes. For many, this can be a deal breaker. Even if run time and cool down are not your highest priority, that’s a lot of time to wait between sessions. Next best among our three devices is the AmazonBasics micro-cut shredder, which improves the run-time to 8 minutes, but requires a disappointingly long 45 minute cool down period. Again, this is ok if you are shredding your junk mail and credit card offers, or perhaps even if you’re shredding financial documents once a week. But if your intention is to ever process a large stack of papers that have built up over months or years, the 45 minute cool down is really going to set you back in your efforts. Finally, the winner in this category is the Fellowes 79Ci. Although the Amazon website eroneously lists the continuous run time as 20 minutes, the actual time (according to the owner’s manual) lists the run time as only 12 minutes. However, where Amazon shows the device as having a 30 minute cool-down period, the actual time (again, according to the owner’s manual) is only 20 minutes. In any case, the Fellowes 79Ci is the best device among the three for larger shredding jobs. If you’re a business and need to shred an enormous volume of paper, perhaps none of the above will be best for you, and instead you might want to look at an industrial size shredder. Perhaps even better, you might look into calling a shredding service, and then purchase the Fellowes 79Ci to stay on top of your shredding requirements in the future. Another factor to consider when purchasing a paper shredder is how easy it is to dispose of the shredded material, and how often you will need to do so. 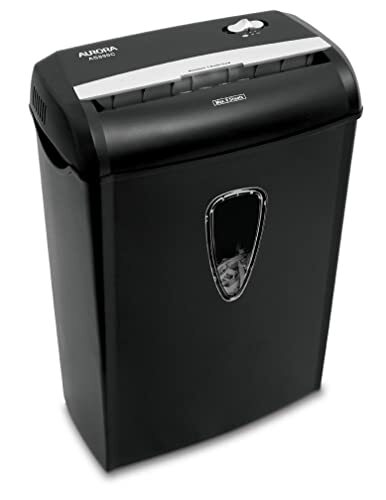 Entry level shredders tend to sit a-top a waste bin (that comes with the shredder), and emptying the waste bin is a tricky act of unplugging the shredder unit, lifting the shredder, sitting the shredder down, and then emptying the bin into your dumpster, larger trash can, etc. Often, when pulling the shredder away from the waste bin, lingering strings of paper and debris are often still present, causing a mess. On other other hand, higher end shredders use pullout bins that help to reduce the awkwardness of the process and can reduce the mess made. The pull out bins are much easier to use in the disposal process. Also, there is the matter of capacity to consider. How much do you shred on a daily basis? What do you shred on a daily basis? Will a 4.8 gallon bin last you for a week or only a day? If it will only hold enough material for one day, then you should consider purchasing a 6 gallon bin. If you only destroy documents once every few days, then the smaller 4.8 gallon bin should suffice. 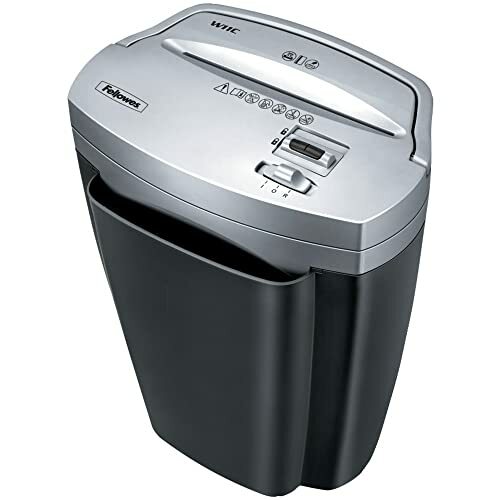 While the entry level AmazonBasics cross-cut shredder sits atop a waste bin that is 4.8 gallons, both the AmazonBasics high security model and the Fellowes 79Ci use pull out trays - with 6.7 and 6 gallon size capacities respectively. For disposal and capacity, we give this one as a tie to both the AmazonBasics High Security and the Fellowes 79Ci. As stated earlier, shredders can be quite the noisy things! In determining the approximate noise level, remember that the higher the decibels (db), the louder the product will be. And decibels are an exponential scale, so a small change can mean a big sound difference. Ironically, in many cases, the bigger the shredder, the softer the noise level may be. The Fellowes 79Ci bests our reviews with a rated 54db, followed by the AmazonBasics High Security model at 65db, with the AmazonBasic Cross-cut coming in at a whopping 70db. Again, as stated earlier, besides the sheer decibel level, the time it takes to shred is another factor, and since the Fellowers 79Ci wins here too, this one’s an easy decision. The Fellowes 79Ci won in the majority of the categories, but it’s also the most expensive. If you’re price sensitive but need the features, the AmazonBasics High Security model is probably the one for you. If you’re not price sensitive and don’t need the high security micro-cut, go with the Fellowes 79Ci. Of course, if the highest security is a deal breaker, your only option of the three we considered is the AmazonBasics High Security option.